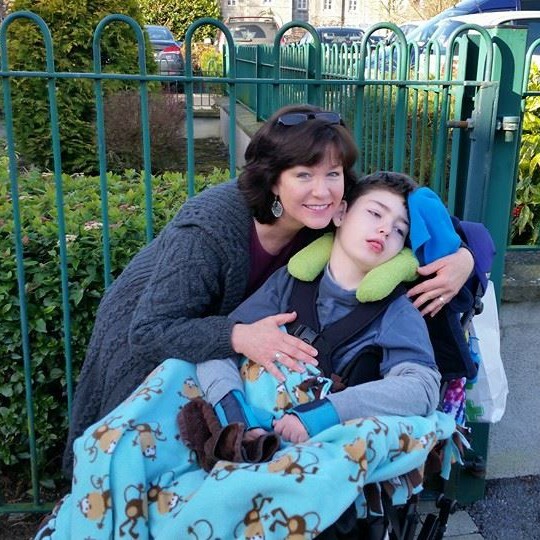 Parents in my shoes tend to primarily focus on our child with a life-limiting illness. The care required consumes our time, energy, thoughts and emotions to a great extent. Those of us who have been on this journey for some time can talk about the day when our child will gain his or her angel wings. For example, my angel Brendan Bjorn turned 12 years old just a few days ago. I have made plans for the day I will lose him. I know what I want done. And I can nearly talk about it now without crying each time. But there is something that many of us parents DON’T talk about. What happens if I die first? Look, it could happen. I will be turning 51 years old (gulp!) in December. I’ve got rheumatoid and osteoarthritis. I’ve got degenerative discs in my lower back thanks to many years of lifting my precious son who is completely disabled and unable to assist in any way. I need surgery on my left foot but can’t take the 3 months recovery time because of the care I need to give my son. I am the first to admit I am out of shape now, cholesterol and blood pressure letting me know just how out of shape. And, like many of us, I contend with depression and anxiety (go figure). Back when I lived in America and Brendan was still very young, I was working in my professional career field. But, in order for him to receive medical coverage from the government which covered much needed equipment and services that my private insurance wouldn’t cover, I was required to only have a meagre $2,000 of liquid assets. I had to cash in all of my retirement funds. There was no longer a safety net. No longer security for my future. I would have to roll the dice in order to get him all that he needed. Today, I am unable to work because I care for Brendan full time. My career is so many years on hold that at this point I can’t even imagine it being resurrected without divine intervention. I am now dependent upon my partner financially – a fact that anyone who knows me well, knows I absolutely abhor being dependent in this manner!! I have always been self-reliant – up until now. So, back to my question. What happens if I die? And what happens if my partner dies? I’ve been thinking of this a lot lately because of my recent newly discovered health issues. As well, my partner fell seriously ill in August. This is a reality we all must look at, but especially when a child with severe disabilities and life limiting illness needs to be considered. My big question? Who would care for my son if I die? My answer: I honestly don’t know. It would be a “big ask” of anyone. Plus, I have stipulations such as I absolutely do not want my 2 sons to be split up, so whoever would take Brendan would also need to take my other son. Of course my partner is first on my list, but as all of us parents know when we complete our will, we have to also plan for the worst case scenario of if both parents pass away together. (My God, this is a hard topic!) And this is where I am stuck. There is no one. Let that soak in as you read. Designating a guardian for your healthy child in the event of your passing is one thing. Hard enough, to be sure. But finding someone to take both your healthy child AND your severely disabled child, well…you get the picture. Why do we say that? Because of what I am writing here. Because in so many ways, we don’t have a net to catch us if we fall. This fact is ever present in our minds, usually hidden in the back filed away among other thoughts too hard to look at too often. But it is there. And the weight of it is damn heavy. Can you imagine not knowing what would happen to your children if something happened to you? Worse yet, can you imagine your fragile child being sent to some State run residential home for the disabled where the care would likely be substandard and definitely without the love you shower daily on your precious one? And what of us who are financially dependent on our partner, but have absolutely no financial security net in place if God forbid something was to happen to them? We are again left walking that tightrope without any net. It is a tremendously worrisome place to be.